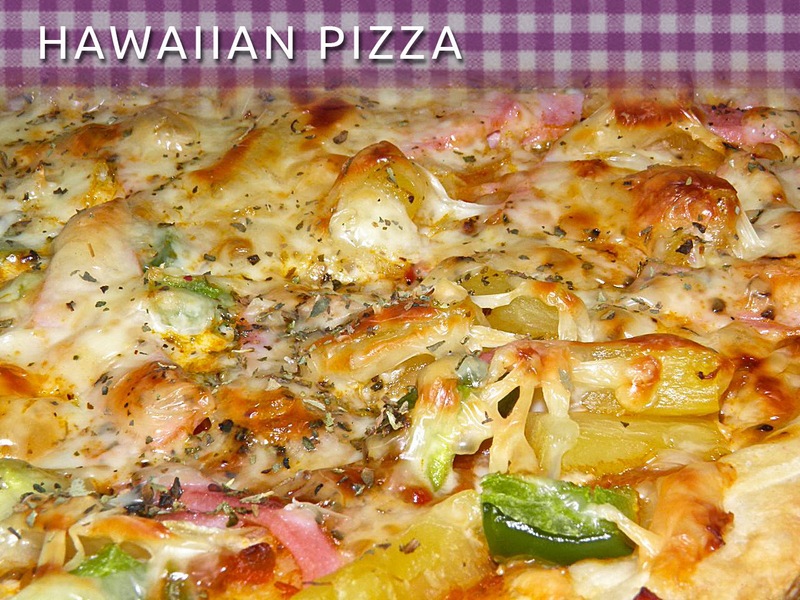 There’s probably no other round of dough that can stir more love or hate responses from people than Hawaiian pizza. You either love pineapple on a pizza or you don’t. The only other ingredient I can think of that puts people in such opposite camps is anchovy. Before rising to at least double. I love Hawaiian pizza, and I love anchovy/black olive pizza. I could even possibly see all three combined! Call me weird if you want, but there something about the sweetness of baked pineapple that just hits the spot. So is Hawaiian pizza “Hawaiian”? No. Apparently it was invented by – get ready for it – a Canadian! The pizza was first made by Sam Panopolus of Satellite Restaurant located in Chatham, Ontario in 1962. This information is first-hand – straight from the man himself, as opposed to Wikipedia, which got the place and man right, but date and restaurant wrong. So there’s the nut of it. 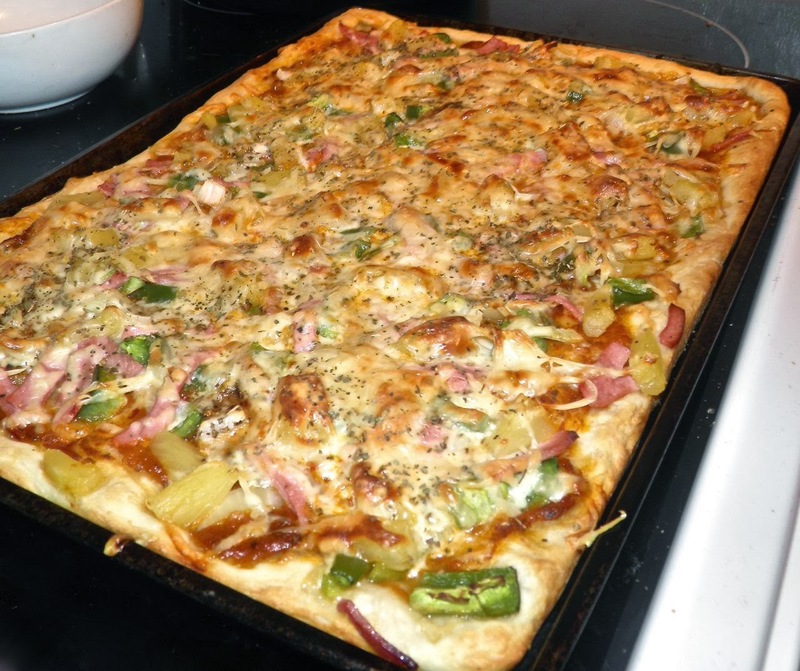 A pizza called Hawaiian, made by a man of Greek ethnicity on the shores of Lake Erie. 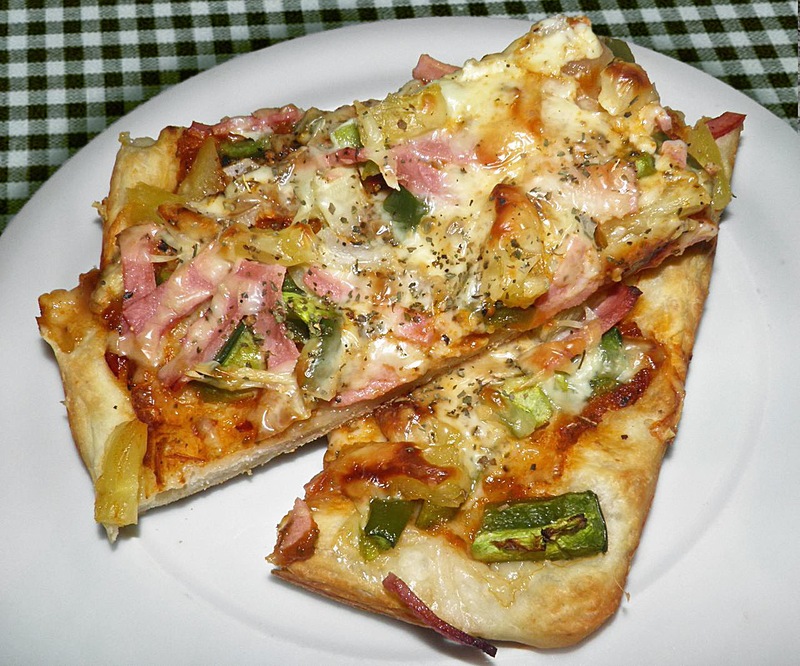 The combination of pineapple, ham and cheese is a favourite of anyone who loves sort of sweet and sour flavours, and also Australians, where it makes up about 15% of all pizza sales. You can use tomato sauce on any pizza as opposed to buying special pizza sauce. Just make sure it's on the thick side or your pizza will be watery. You can mix some tomato paste in with it if you wish to help keep it together. Mine was homemade, so I didn't have that problem to deal with. One thing that recipes don’t tell you (mine included) is that whatever sauce you use should be a little on the sweet side. If yours isn’t, fix it by adding a little honey or brown sugar. Just a little though – it’s not dessert! Once the crust has risen, oil a 13x18 baking sheet with a little olive oil. Preheat the oven to 425°F. 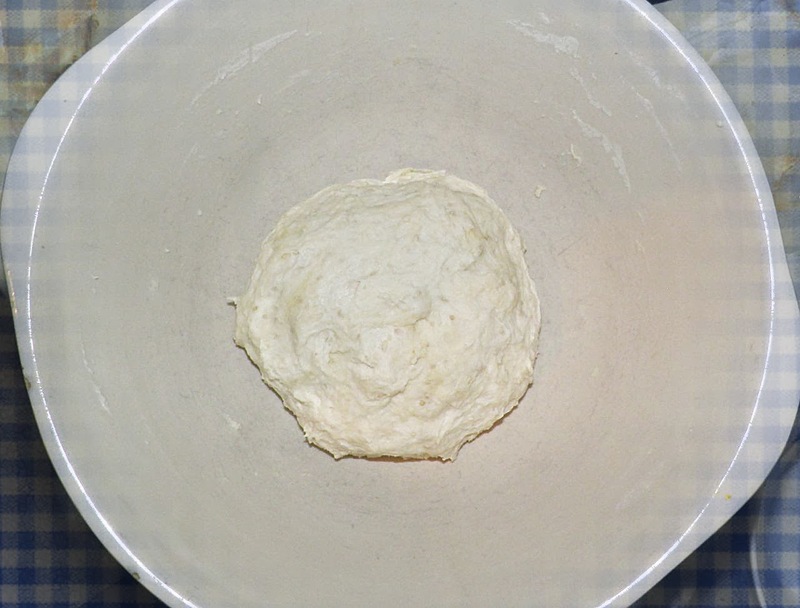 Spread the crust out and let it rest until the oven comes to full temperature, about 15 minutes. Then add the toppings starting with the sauce, chilli flakes, onion and green pepper. Sprinkle with a little salt. Then add the ham, pineapple, mozzarella, black pepper and basil (or oregano). Bake for between 20-25 minutes, until the crust is nicely browned on the bottom. Let cool for 2-3 minutes before serving. Hot pineapple can burn your mouth!